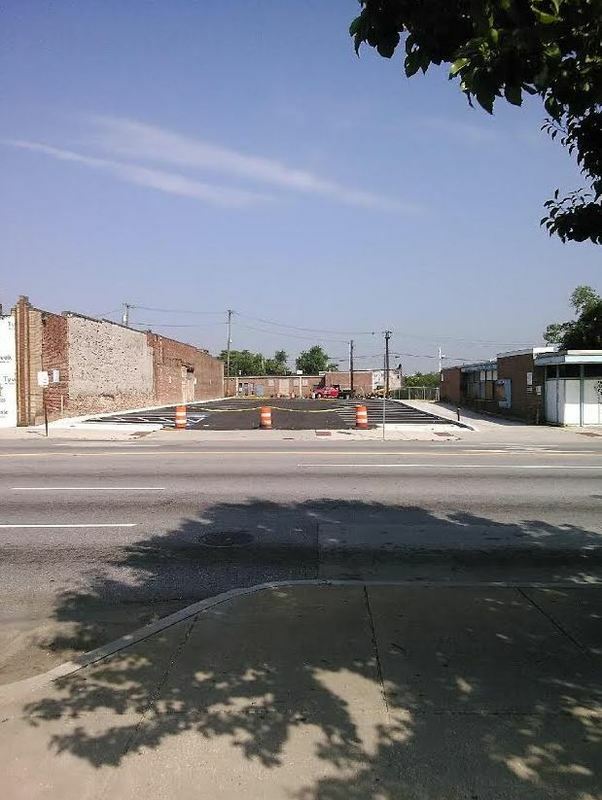 This newly paved surface lot takes up a small section of the block, bordered by a one-floor storefront to the west, and a one-story structure with blue trim to the east. The entrance to this open-air lot is an incline into the lot itself; look for the distinctive blue trim on the building to the east. This lot is located a few minutes away from the Baltimore City District Court.